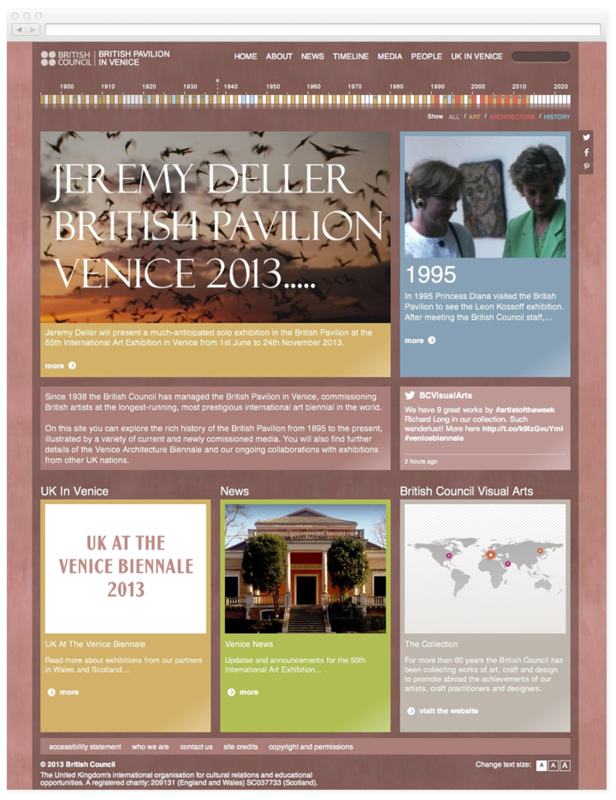 Keepthinking have designed and developed the website for the British Pavilion in Venice. 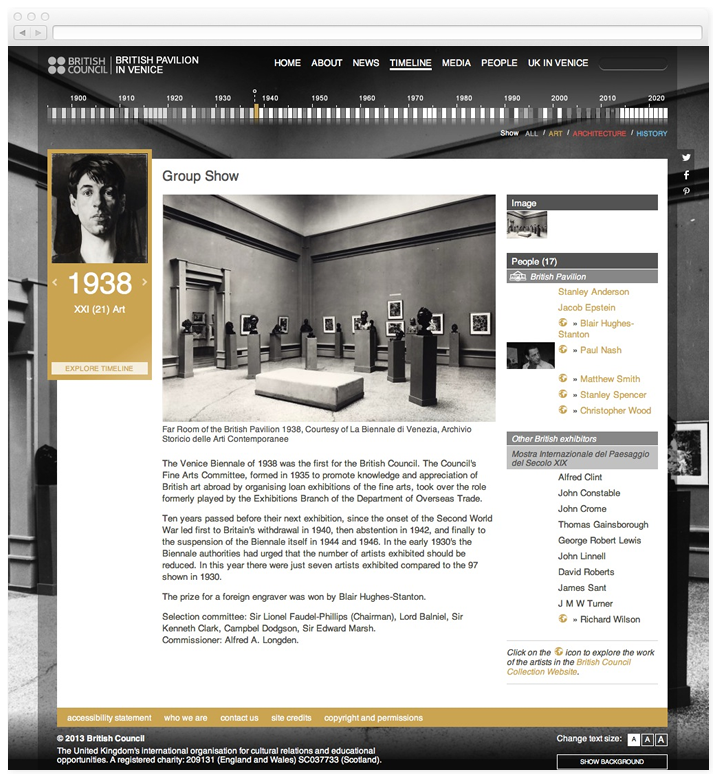 The website features every year, artist, work and event related to the history of the most famous art exhibition in the world and can be browsed using an interactive timeline. 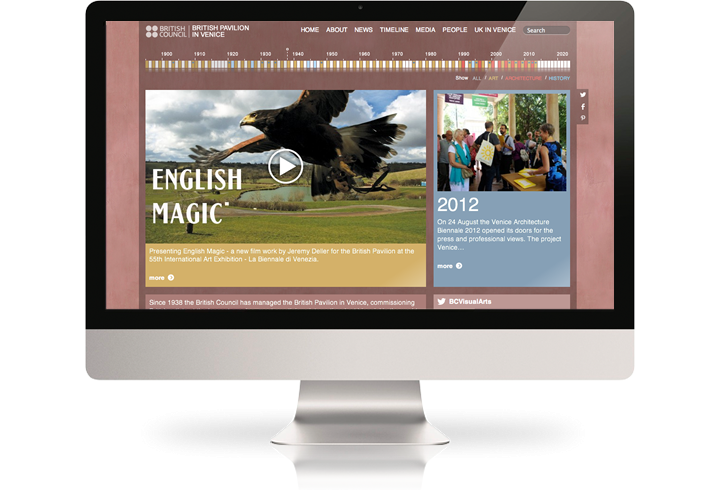 The homepage is designed like a magazine, to allow great editorial control about the features to be promoted in different periods of the year (i.e. before, during and after the main event). The site goes to a great level of detail for each year of the exhibition, displaying artists, installation images and works of art. Artists are divided between the ones in the Pavilion and others in other venues. A full size image of each year may be used as a background, revealed on demand. 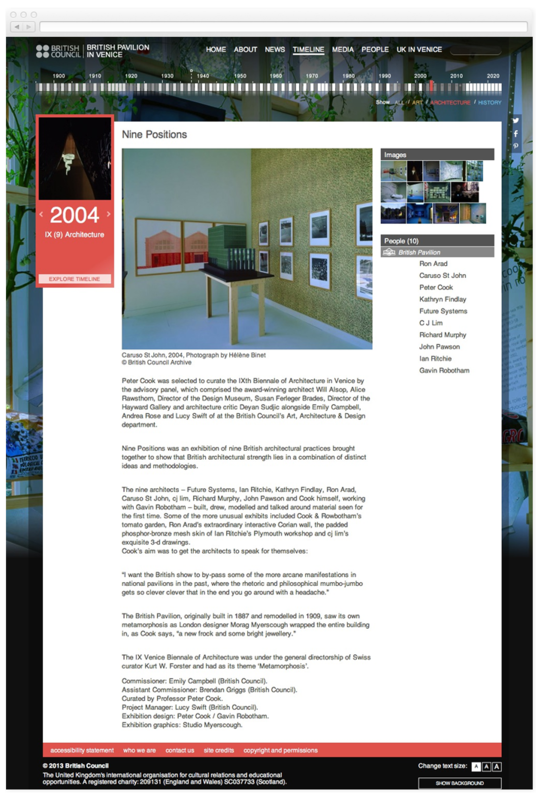 Assets may include images of works, installation images, video content - as well as several descriptions and written documents, including downloadable PDF of the catalogue and other material. The timeline has two shapes. 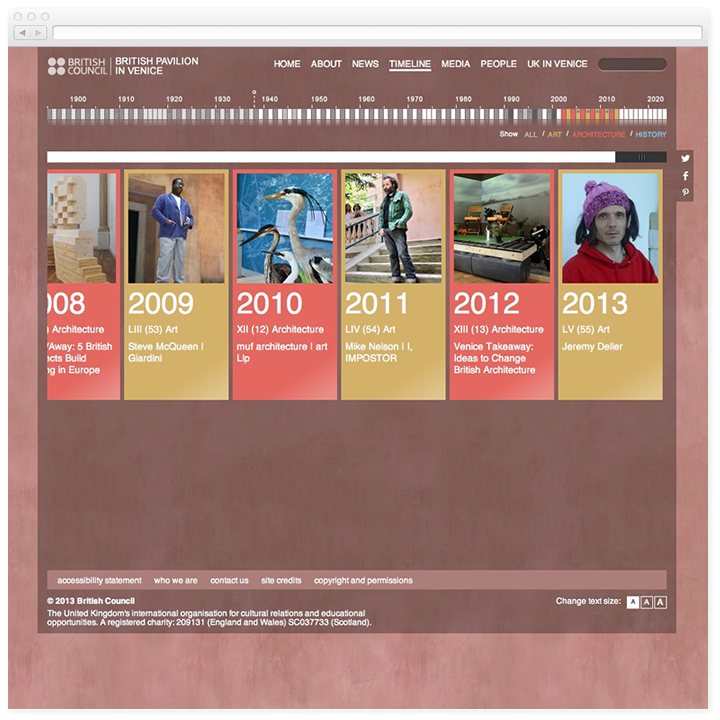 On each page of the site, we offer a smaller scale, comprehensive timeline for quick access to every year. 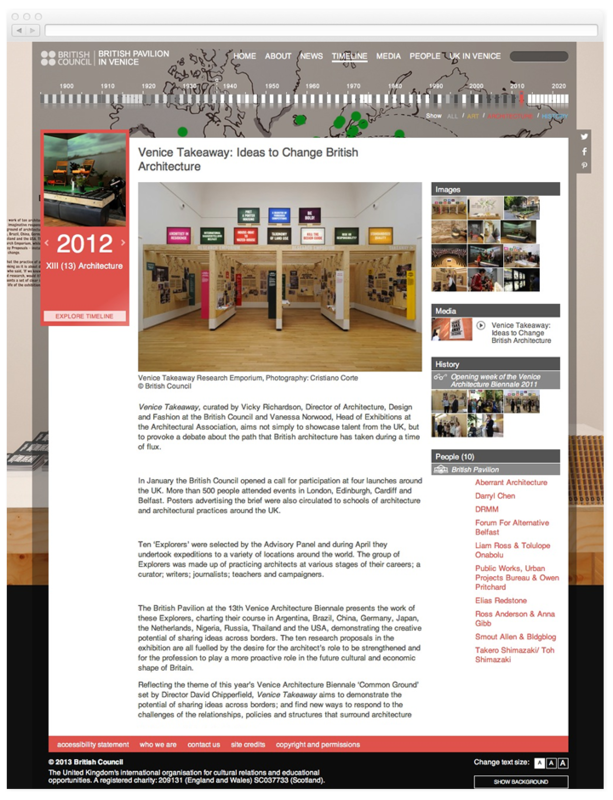 Then there is a specific timeline section, with extra information and images, which can be seen scrolling horizontally. Years are colour-coded (ochre for art, coral for architecture, white for no Biennale and blue for historical events). 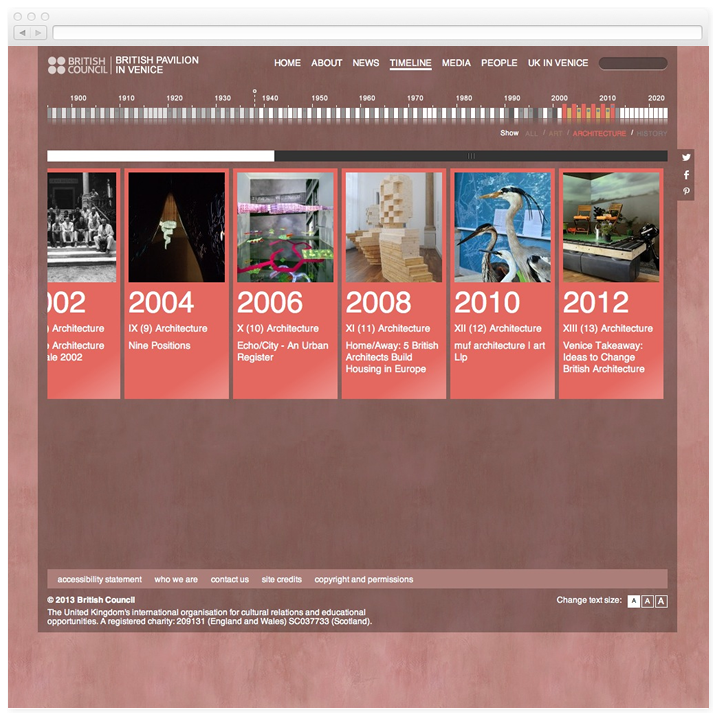 The timeline may also be filtered by a specific type of event, to display only art, architecture or historical events. 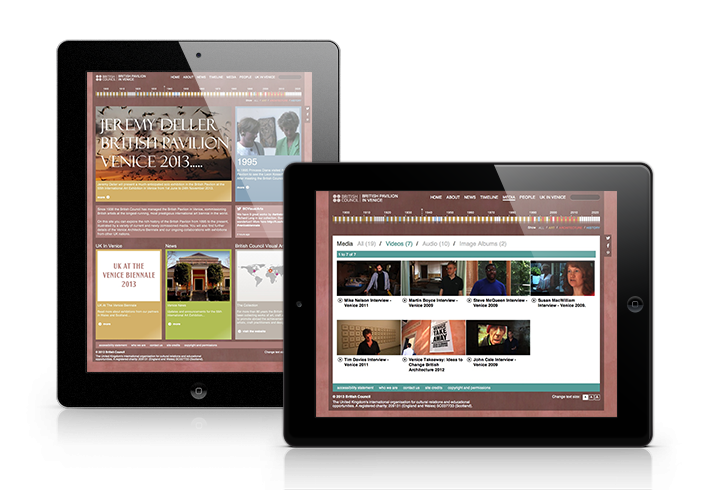 The entire site, including the timeline, has been tested and optimised for iPad, iPhone and other mobile devices.